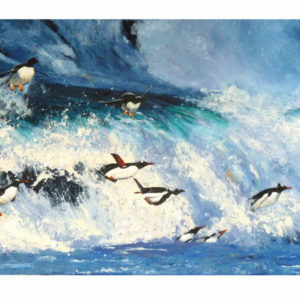 Anna is a Bristol based artist with a new-found love of painting and a passion for the sea and the wild outdoors. 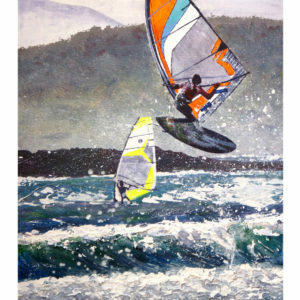 She is driven to paint high energy pictures and finds herself captivated by light, water and snow. 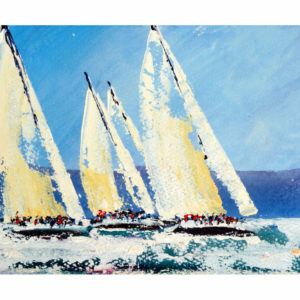 As a keen sailor, she is also drawn to portraying boats in action and the buzz of her yacht paintings has captured the interest of world class sailors. 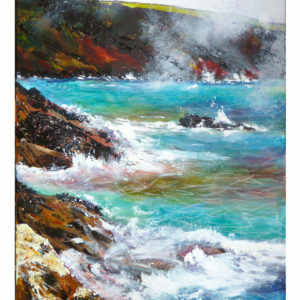 She uses a range of media to give her work colour-brilliance and bold texture and usually paints on canvas. 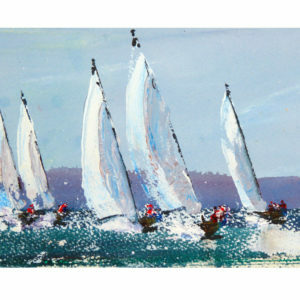 Anna comes to painting in her forties from a career in executive coaching and a background in physics and engineering. Her preference for learning is to study and pick up tips from established artists and her style is constantly evolving. She believes in keeping prices for her work down in order to make original art accessible to many. 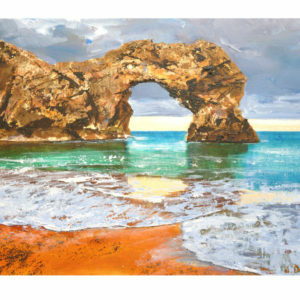 Anna loves to paint from attractive photographs and often prefers to understand what excites the client rather than to paint for general appeal. 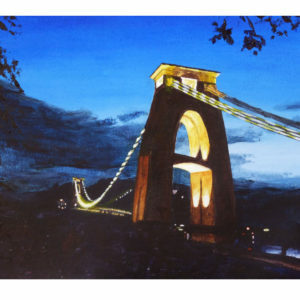 Much of her recent work has been commissions and she also follows her own inspiration whenever she has time.